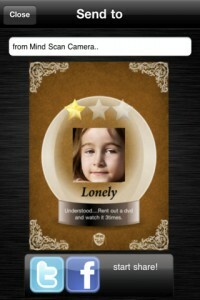 Home » Forget mood rings, try the mood detecting app! 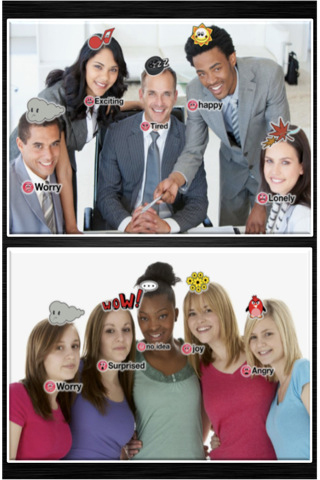 Forget mood rings, try the mood detecting app! 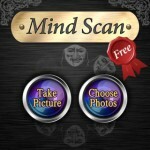 Mind Scan Camera iPhone App Review. That's right! With Mind Scan Camera, you can easily turn any photo-shoot occasion into a mind reading session. At least that's what the developers have proposed to accomplish with this app. Whether or not they've actually done it, is up to you. There's no reason not to download this one and give it a shot, since it's totally free. So in essence, Mind Scan Camera uses either a picture from your camera roll or a fresh new photo you can take from within the app and scans it for faces. Once it detects the faces of people in the photo, it asks you to confirm that it nailed it right, and then it uses smokes and mirrors to detect which people exhibit which emotion. Essentially, smile and you'll get a happy mood, look dull and you're bored, scream and you're angry, etc. The app is supposed to detect up to 12 different moods: Happy, Exciting, No-Idea, Angry, Joy, Worry, Lonely, Tired, Sad, Poker Face, Surprised, Boring. 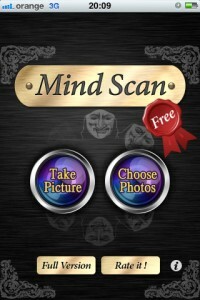 You can then save the mind-scanned picture and share it on Facebook or Twitter via twitpic. I couldn't say. I tried it with different people, different emotions, and the response from the app wasn't to my personal satisfaction. In some photos, it even failed to detect faces. Does it create a great atmosphere and is it an awesome party tool? Hell yeah! Imagine pointing your iPhone at someone and telling them "Hold still while I read your mind!" And then you tell him that something's bothering him and he nods in amazement. 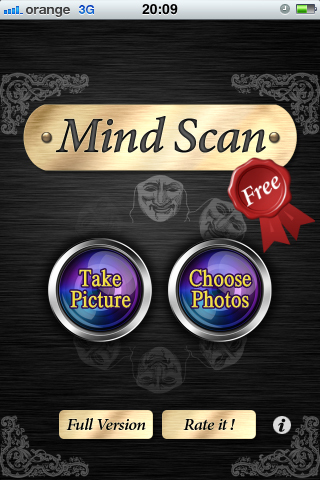 I'm guessing Mind Scan Camera was created with the intent of letting users have some fun with their friends and their photos. I'd like you to take this app as what it leans towards being: a funny app that wants to make you laugh and not something that scans mind or detects body language. The app comes in two versions. The Free offers all of the above, while the Pro version offers real time scanning as well. 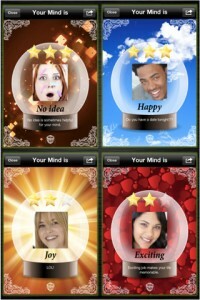 What do you think of MInd Scan Camera ? scroll down for our comment section.